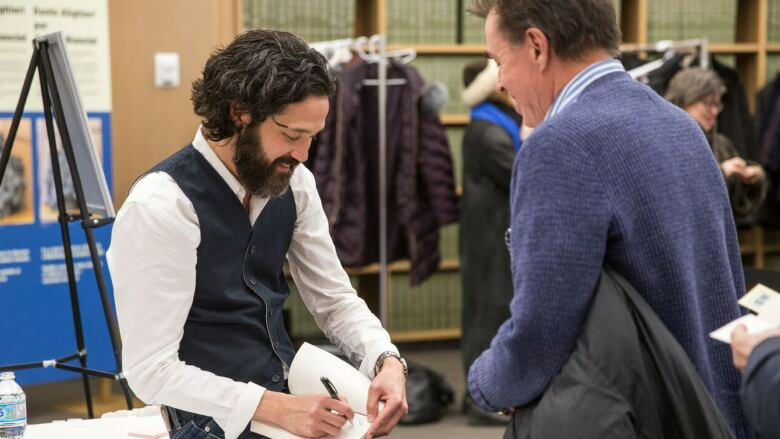 The Canada Reads 2018 contender and author of the memoir Forgiveness joined audience members in the capital to reflect on the book’s title. 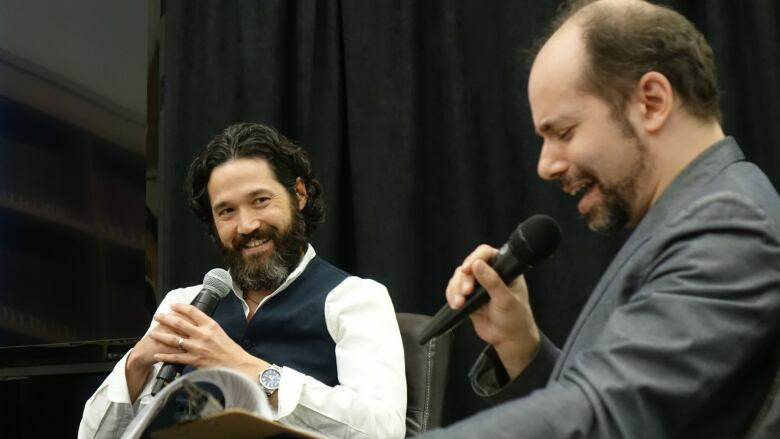 In March, Library and Archives Canada in Ottawa and the Ottawa Writers' Festival hosted author Mark Sakamoto's conversation about his Canada Reads shortlisted memoir Forgiveness and its history of a family torn apart during war. Ottawa appears in the memoir as the site where the country declared its involvement in the Second World War — a decision that landed Sakamoto's grandfather in a Japanese prisoner of war camp. It was also because of the internment decisions made in Ottawa that Sakamoto's Japanese Canadian grandmother was relocated to Alberta. 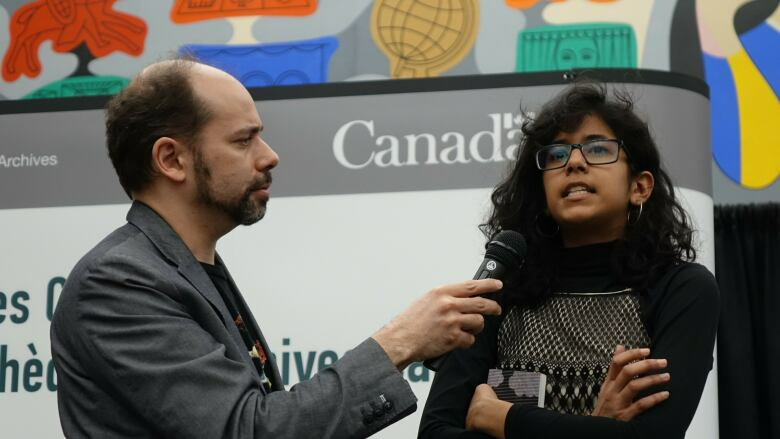 In addition to the personal significance of Sakamoto's visit, a discussion with CBC All in a Day's Alan Neal was part of a series of Canada Reads 2018-related events that occurred across the country. Forgiveness was championed by Jeanne Beker on Canada Reads (March 26-29, 2018). Discussing forgiveness — his grandmother's, his grandfather's and his own — became a community event that evening. 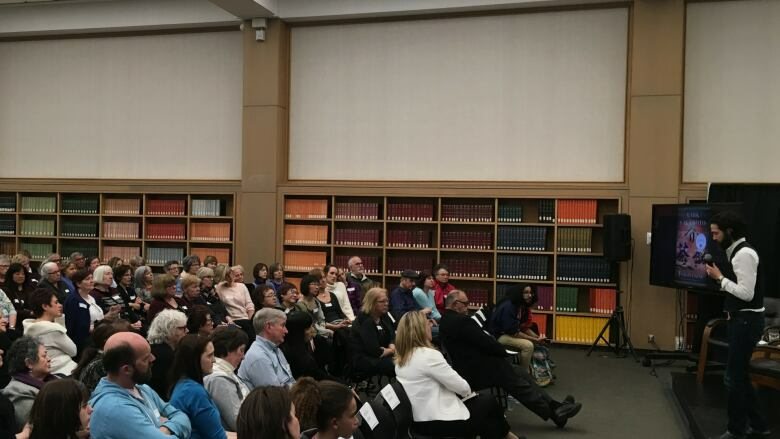 Several members of the audience volunteered to share their own stories involving forgiveness and how they came to terms with their grievances. Music also helped the audience and author comprehend the themes of the book in new ways. 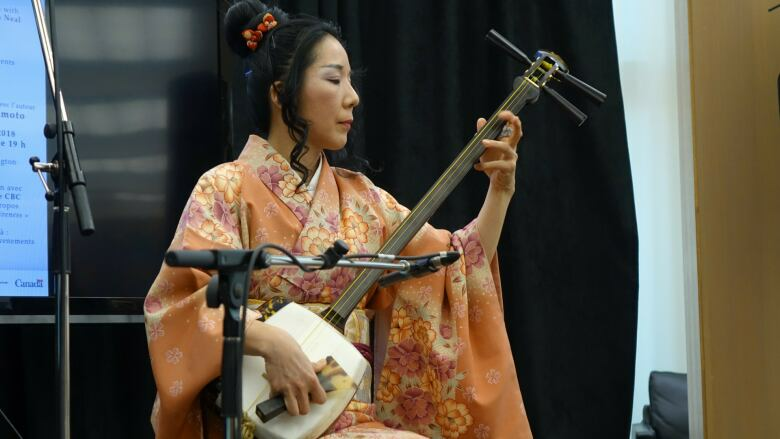 Musician Ryoko Itabashi played the Japanese samisen, a three-stringed instrument, in a musical reading of the memoir, lending a soundtrack to Sakamoto's words. The author also visited CBC Ottawa to talk about the story behind his memoir with Alan Neal. The interview can be heard below along with audio highlights from the evening's event.